With 60 degree days (in Denver), I am already dreaming about summer at the pool. There are so many cute things that always come out for the kiddies, but I am beginning to think my little one should start to wear sunglasses. Each and every time I perch some on his head- he swiftly tears them off, unless of course they are his mama's in which case he proudly wears the oversized frames like a true hipster. Aren't they just so cute?! He would be such a little dude in them. But until he stops tearing them off- he gets the wrap around. So I ask you moms- what do your kids wear?? Do they even wear sunglasses or just a hat?? What is the best way to tackle the sun year round? On last weeks trip to Target, I found the first lonely rack of spring clothes that just came out. I have learned so many times at Target that if you don't buy something right away, the next time you go they will be gone. And with each item being less than $15, there is no guilt involved! Here's what I scooped up this time to get my babe out of the dark colored winter doldrums. A couple weeks ago I shared that I recently purchased my first ever slow cooker. 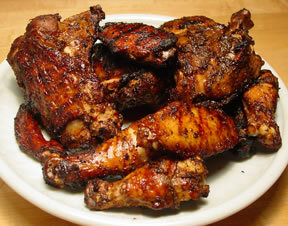 Well this weekend I pulled it out again when we had some friends over- this time making Jerk Chicken. I got the recipe from a cookbook my husband bought me for Christmas- as encouragement to keep up the slow cookin'! 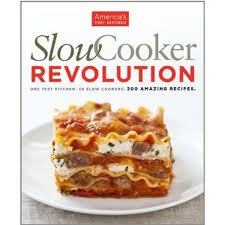 It is the America's Test Kitchen Slow Cooker Revolution. I must admit it is not my favorite cookbook because several of the recipes require extra steps out of the slow cooker- including the one I am sharing with you. But it does have some delicious recipes worth trying. The Jerk Chicken recipe was an absolute hit with all of our friends- and everyone wanted the recipe. I think it is the broiling at the end of the cook time to crisp up the chicken that makes it even better. 2. Add chicken to slow cooker and coat evenly with scallion mixture. Cover and cook until chicken is tender, 4 to 6 hours. (mine took only 4-4 1/2 hrs). 3. Position oven rack 10 inches from broiler element and heat broiler. Place wire rack in aluminum foil lined rimmed baking sheet and coat with vegetable oil spray. Transfer chicken, skin side down, to prepared baking sheet; discard braising liquid. 4. Brush chicken with half of reserved scallion mixture and broil until lightly charred and crisp, 10-15 minutes. Flip chicken over, brush with remaining scallion mixture, and continue to broil until lightly charred and crisp on second side, 5 to 10 minutes longer. Serve with lime wedges. Yesterday the bambino and I went for a little trip to Boulder just to get out of the house and have a change of scenery. We did some browsing and went out to lunch and it was a perfect warm winter day-almost 60 degrees and not a cloud in the sky. A couple of stores that we went into carry one of my favorite brands for kids- Hatley. I love their fun printed pjs, socks and outerwear especially- the cotton is so soft, and the animals are more nature-y than cutesy- which I like. I couldn't believe it when I checked out their website and found out that this family run company was started in the town of North Hatley, Quebec. 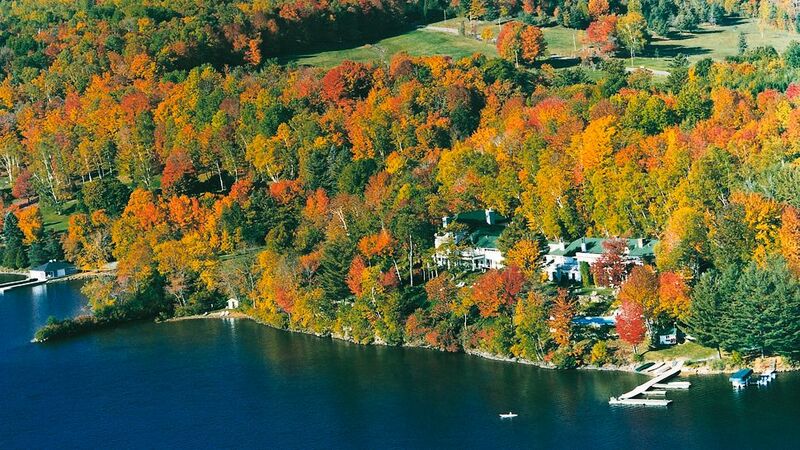 North Hatley is a tiny, picturesque, lakeside town that is almost too dreamy to be real. This is the same town that my husband and I used to go for getaways when we were living in Montreal- before marriage and kids. We would stay at a bed and breakfast called Auberge La Raveaudiere- and always had the best time! So now, of course, I love this company even more. Just look at how cute their things are. Moving from California to Colorado has been such a wonderful change in our lives. The people are so friendly here, we live in a wonderful neighborhood, and the sun is shining bright everyday. My only complaint is that it is so incredibly DRY here!! I had no idea that my skin was going to be perpetually dry (and itchy). No matter what kind of moisturizer I have been using- and I've tried several- has anything really helped. At the recommendation of my hairdresser (who is a true and rare Denver native), and the gal at Whole Foods, I have started using oils with my regular routine. They are inexpensive (I bought mine at Whole Foods and they were each under $10), and they have made a big difference already. It sounds a little hippie-dippy, but I swear it works and is so much cheaper than buying other useless face and body creams. For my face I am now using Argan Oil by Aura Cacia mixed with my regular moisturizer (which is Obagi Hydrate). Because Argan oil is a dry oil, I can put it on my face and feel hydrated and still be able to put my makeup on over it. I have found that with so many heavier face creams, my makeup would just slide right off. For the rest of my body I bought some Grapeseed Oil by Now, and mix that with my body lotion which is Aveeno right now. The grapeseed oil is supposed to be really good for your skin and it is not as dry as the Argan oil. I have heard that people use it on their faces also, but I feel that it is a little to greasy for my face during the day- but maybe for night. For the record- I still swear by Burts Bees Mama Bee Nourishing Oil for pregnant mama bellies that I blogged about here, and the Kiehls Creme de Corps Soy Milk & Honey Whipped Body Butter that I blogged about here. I saw this idea on Pinterest tonight from a blog called dwell on joy and thought it was too good not to share. 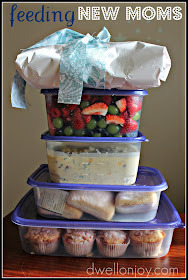 But I know I could handle doing something like this- soup, fruit, rolls, muffins for snacking- topped with a little baby (or mommy) gift. The basic idea is so good- and I know that first week home I rarely felt like eating a heavy meal. Little bits of things would be so much better than a main course or casserole! Actually- I think this idea would be great for friends that are in the midst of a move, ill, starting a new job, or otherwise preoccupied with something that life has thrown at them. Toy storage seems to be an ongoing challenge in our house- the toys seem to be multiplying (especially after Christmas) and overflowing all the solutions that we already have. As a huge fan of all things Jonathan Adler- I am excited to see he has made a couple bins-in pink and blue- for the bambinos. As a stay-at-home mom I am lucky to be able to spend my days with Baby J exploring all things fun and fashionable in the baby world. This blog is to share all the good things that come with being a mom.